Every two years the World Monuments Fund releases a report about great monuments that are currently facing extinction. Its last report made for fairly sombre reading as it listed – amongst a number of other sites around the world – two of the most iconic tourist sites anywhere on the planet. The Sagrada Familia – claims the report – is at high risk from a new highspeed rail link. A section of tunnel will pass just a few metres under the foundations of Gaudi’s towering masterpiece and the vibrations would threaten to destroy the cathedral. The tragedy of the loss of the cathedral would be compounded by the fact that it hasn’t even been finished yet! Perhaps more worrying though (as the provision of ample warning in the case of Barcelona would presumably be sufficient to force a change of route for the trainline) is the second site on the WMF’s list whose destruction seems an inevitable part of its status as an attraction. Machu Picchu is one of the most visited tourist sites in the world. By 2003 it was having to deal with half a million visitors every year and the infrastructure that has been set up to accommodate them is slowly wearing the site away. In addition, there have been numerous instances of theft of artefacts from the site and even of monuments being moved around to accommodate a helipad! The sad fact is that Machu Picchu would be just the latest in a long line of great monuments to be destroyed by tourists (of one kind or another). The building which is regarded as the foundation of European architecture would have been with us in near mint condition today were it not for a troop of Ottoman soldiers who though that it would make a great shed for them to use to store their explosives in. There’s something of a comedy of errors to the whole tale – the explosives inevitably caught light sending half of the building skywards. The rout was completed in the early nineteenth century when the Earl of Elgin saw fit to appropriate nearly all of the sculptures from around the building to then flog them to the British Museum. The last record of one of the earliest civilizations in the world, Babylon cuts a sorry sight today. The most complete section of it is in the Pergamum Museum in Berlin (A museum whose collection makes the Earl of Elgin’s larceny look like petty theft). Much of what can be seen at the site today is actually a reconstruction which was begun under Saddam Hussein. Unfortunately, some of the subtleties of archaeology and art restoration were lost on the dictator who had his name carved into every single brick of the new city. Finally the American army turned up in 2003 and set up their ‘Camp Alpha’ on the site – complete with a helipad. Sandbags were filled with fragments of ancient sculptures and tablets containing some of the first ever examples of a written language anywhere started appearing on ebay. 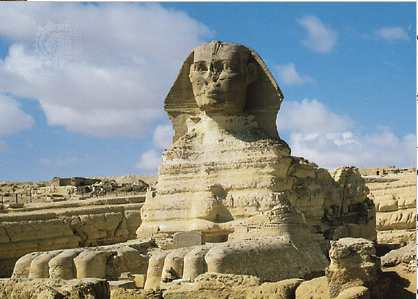 The mystery of where the Sphinx’s nose is and how it got there remains unanswered to this day. The popular theory persists that a division of Napoleon’s army let off a stray cannon ball which unfortunately made contact with the nose and blasted it to bits. Whilst there is a certain bull in a china shop comedy to this account, it is almost certainly untrue. There is possible justification for the belief that the nose was in fact prised off with a chisel and kept as a souveneir. Questions of course remain as to where it was taken and – perhaps more significantly – who has a use for a ten foot tall nose? Perhaps the most tragic of the bunch are the Buddhas of Bamyan. These two monolithic Buddhist sculptures were 50 metres tall and hewn directly out of the sandstone cliffs. In fact, if it weren’t for the fact that they’re in one of the least tourist friendly countries in the world (Afghanistan) they would probably have made Petra’s annual influx of tourists look like small fry. Sadly in 2001 the Taliban took it upon themselves to completely eradicate every trace of the statues. After spending several days bombarding the statues with anti aircraft fire, they finally twigged onto the idea of using dynamite and the rest – as they say – is history.